Last week Abu Dhabi City Municipality was hosting a 3-day business event focusing on responsible irrigation. As a result, the Abu Dhabi City Municipality (ADM) has called all on parties engaged in the field of irrigation to adopt the best methods and advanced techniques in irrigating greens and landscaped areas, plants and trees. The call is part of the Municipality's efforts to conserve energy as well as natural and water resources. I am happy that in this call, irrigation is not considered as separate water-saving topic, however next to type of irrigation and irrigation protocols, also the soil structure, climate condition and used vegetation are considered as part of optimized water-saving landscaping design. Different climate conditions (hot arid with low air humidity vs hot arid with high air humidity). When we analyzed all the massive data, and included all the knowledge in to new landscaping designs, the positive results were expected but we all were surprised. Nobody has expected that implementing new findings can bring even up to 50% irrigation water saving in the top summer months where temperatures were superseding 50°C (120F) not to mention positive visual effects that could be seen when same irrigation protocols were used and we have only differ the landscaping design itself. 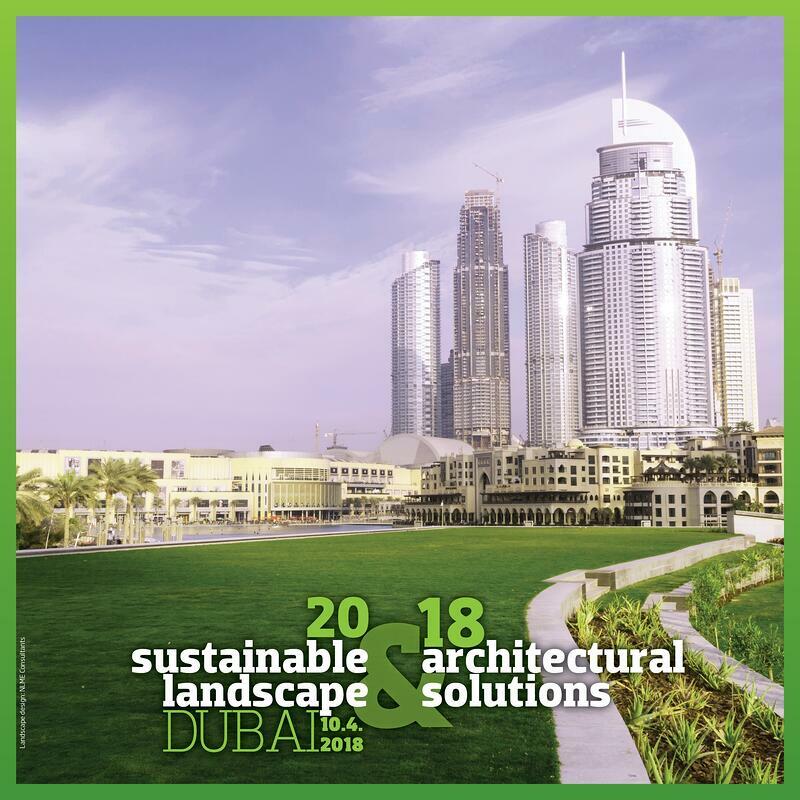 When we were together with our partners (BVB Substrates and NLME Consultants) designing first major Green roof / Landscaping projects in Dubai, we have implemented all the knowledge to bring our testing to life. The Green roof set-up next to Opera Dubai, has in total 3.000 sqm. Normal irrigation protocol would require almost 40.000 liters of irrigation water to be used daily (which means in a year more than 14 Million liters only to make the place green). By carefully implementing our findings from the research in to landscaping design, the needed irrigation water should be down for several million liters. So what are really the positive effects reached with optimized landscaping design? And if the salt from the desalinization plants are returned back to the see, this has very negative effect on the marine life around. So less desalination means less challenges for marine life. In order to share our knowledge, we are organizing an event where our Urbanscape® Landscaping & Green Roofing team will together with development partners and key designers share research results and propose needed design steps that can dramatically reduce irrigation needs. Entrance is free! The event will take place in Rove Hotel Downtown, Dubai on 10th of April 2018. "And as we always say - best water is saved water"